Crumlin Podiatry specialise in all kinds of foot care for our patients. 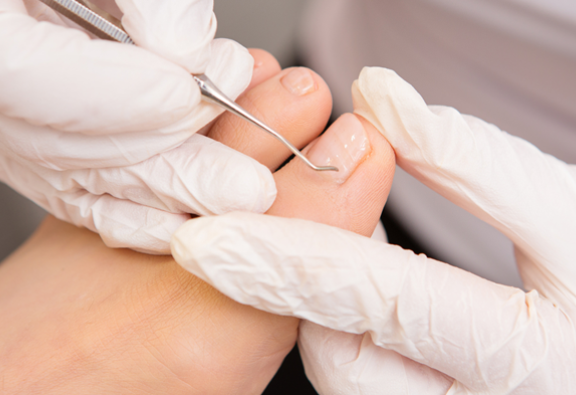 We are fully qualified and experienced chiropodists and able to treat, relieve and eliminate conditions such as corns, callouses, thickened or fungally infected nails, ingrowing toenails, verrucae, chillblains, ulcers and cracked/rough heels, etc. We provide expert advice on how to maintain and take care of your feet. All our podiatrists are fully qualified chiropodists and are registered with the Health & Care Professions Council as well as being members of the Society of Chiropodists and Podiatrists.